Oral health is essential to overall health. Oral diseases cause pain and disability for millions of Americans each year and may be prevented by increasing access to regular dental care. In 2009, a higher percentage of females aged 2 years and older had a dental visit in the past 12 months than males (age adjusted). 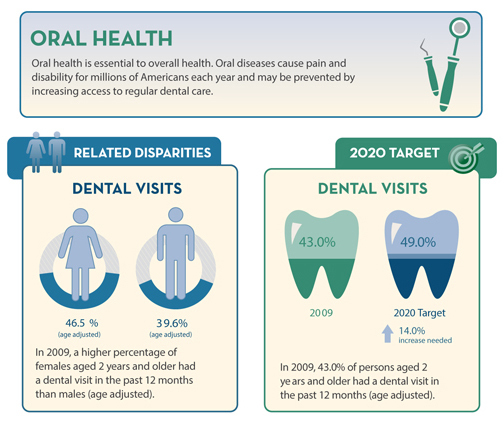 In 2009, 43.0% of persons aged 2 years and older had a dental visit in the past 12 months (age adjusted).